The current moment presents the Modi government with an opportunity to take advantage, but very carefully, of Beijing's inclination to offer economic incentives, notes Nitin Pai. Ahead of Xi Jinping's visit, China's consul-general in Mumbai hinted that the Chinese government and businesses will commit to investing over $100 billion in India over the next five years. Lest India's usually excitable journalists not get sufficiently excited by that big number, he added that this is "thrice the investments committed by Japan" during Prime Minister Narendra Modi's recent trip to that country. China's investment commitments will include "industrial parks, modernisation of railways, highways, ports, power generation, distribution and transmission, automobiles, manufacturing, food processing, and textile industries" - almost everything that the Indian government will permit. According to China's ministry of commerce, Chinese companies invested $108 billion outside their country last year, around 23 per cent higher than in 2012. If the consul-general's announcement is taken at face value, India would account for a substantial chunk of China's foreign investments over the next few years. Not impossible, of course, but certainly warranting scepticism. For, investment commitments are wonderful things. They can be large. They can go into nice and necessary activities. They make a lot of people feel good. The best part is that they are only commitments, and even if someone keeps track of them, there are no costs at all for not actually turning them into investments. From "complex regulations" to "changed business environments", there are a lot of genuine reasons available to explain why it is not the committer's fault that the commitment didn't, after all, turn into an investment. To be sure, this columnist has supported economist Ajit Ranade's argument that India should permit Chinese investments in certain types of concrete infrastructure, such as highways and bridges, as it would be in both countries' interests. The Chinese will get a decent long-term return on their surplus funds, and we will have access to lower-cost financing for our infrastructure growth. Roads and bridges do not undermine national security, nor do they lock us into Chinese technology. What we must realise though is that the Chinese government under President Xi has a deliberate strategy to use geo-economic incentives to try and prevail in its geo-political disputes. In a study of China's policy towards its periphery in the summer 2014 issue of the Hoover Institution's China Leadership Monitor, Michael D Swaine observes that Beijing has decided to pursue "potentially contradictory policy objectives of deepening positive relations with neighbouring countries while more resolutely advancing or protecting China's territorial and resource interests and claims". China's policymakers calculate, perhaps correctly, that money is an effective way to address the contradiction, because well-directed investments can create favourable vested interests in the short term and also because, less certainly, shared prosperity can change geo-political equations in the long term. Mr Swaine quotes Yan Xuetong, a realist Chinese strategist, as suggesting that Beijing will use its leverage in a carrot-and-stick approach, rewarding "those 'who are willing to play a constructive role in China's rise' while punishing those who show hostility toward China". This is very much along the lines of the approach this columnist has suggested New Delhi ought to take with respect to our own neighbours. So we should not be surprised if Beijing will try the same approach on us. We must be prepared for it: India must be open to greater trade and investment with China, but we must not treat it as an ordinary economic relationship. 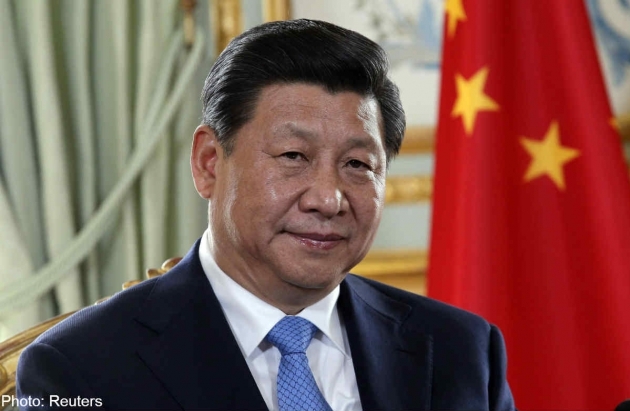 In the two years since he was appointed president, Mr Xi has consolidated his position by taking hardline positions on domestic political reform and by launching an aggressive campaign against rival leaders. He has been less successful on the external front: the troubles at every part of China's periphery have gotten worse even as new geo-political alignments are taking shape among the Indo-Pacific's major powers. For the first time in decades, Beijing is concerned about its frontiers with Afghanistan and Pakistan, and specifically with the spillover of the jihadist conflicts there. The emerging relationship between the United States and Iran will require Beijing to review its relationships in West Asia. Tensions with the United States and its allies all across East Asia that have remained on the threshold of armed conflict for years. More importantly, Prime Minister Narendra Modi's early foreign-policy initiatives have strengthened New Delhi's bilateral relationships with Japan and Australia, and in so doing, signalled India's renewed determination to shape the Indo-Pacific balance of power. Beijing should note - if it has not already - that the Indian prime minister has not yet included the United States in this project. Since Mr Xi's visit to India precedes Mr Modi's trip to the United States, Beijing has the first opportunity to determine New Delhi's assessment of how much nearness is called for between India and the United States. India is a geo-political swing power with the ability to influence the outcomes of contests between the United States and China. New Delhi can strengthen its leverage by having better relations with the two than they have with each other. The current moment presents the Modi government with an opportunity to do just this: to take advantage, but very carefully, of Beijing's inclination to offer economic incentives.